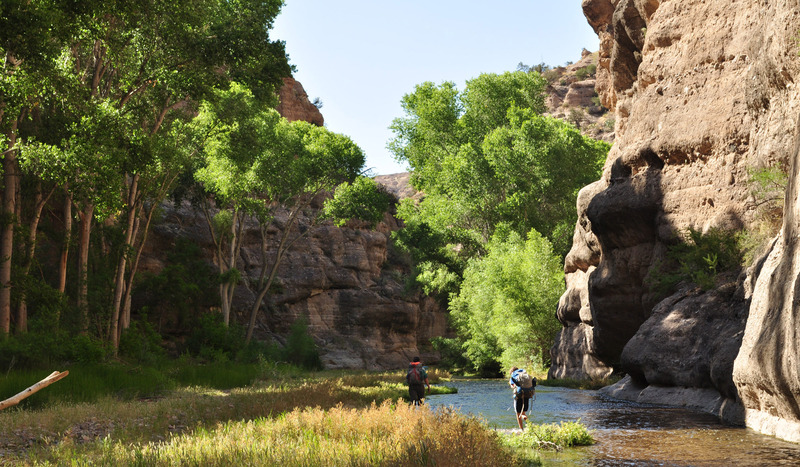 If you’re looking for a true wilderness backpacking adventure, Aravaipa Canyon is the destination for you. Only 50 people are permitted to enter the 19,000 acre wilderness daily, so seclusion is not a problem; having to leave after a day or even three days is. 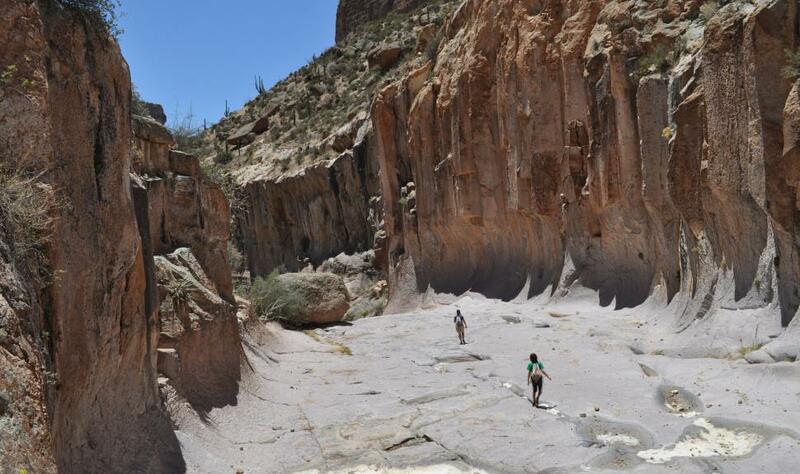 Much of this guided hiking tour is in Aravaipa Creek, so be ready to get your feet wet. This is also a great trip for beginning backpackers looking for an easy hike. This isolated canyon in southern Arizona is a bastion of untouched natural beauty and a Natural Conservancy site with over 7,000 protected acres, so you’ll be able to experience the canyon in its pure state. Aravaipa is completely undeveloped; there are no campgrounds, signage, well-defined trails or other facilities in the canyon. On this backpacking tour, you will be surrounded by the native riparian vegetation, including cottonwood, ash, willow, and sycamore trees. Aravaipa is best known for its bird species. Over one hundred fifty varieties of native birds have been seen in the canyon. The cacti, which populate the canyon’s rocky outcrops, are an ideal home for woodpeckers and owls. Other desert dwellers who make their home in the canyon are mule and white-tail deer, coyotes, coatimundi, and javelina. High above the canyon, desert bighorn sheep peer down to observe your progress. 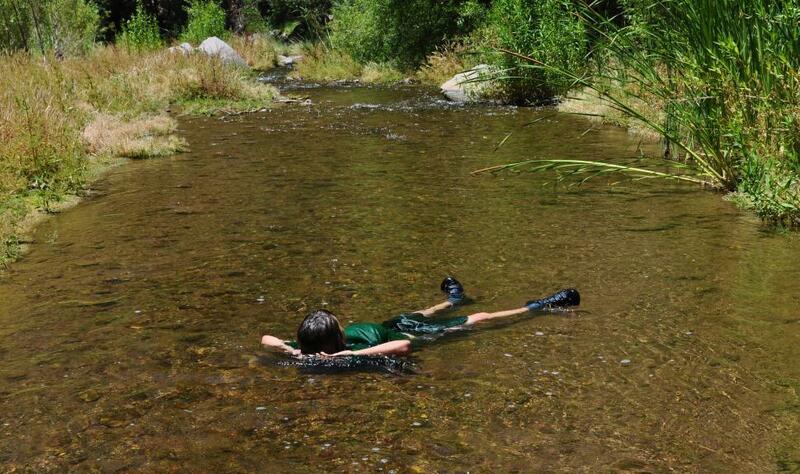 The Aravaipa Creek is home to seven varieties of native fish. This is one time you don’t want to forget your camera! A hiking trip through Aravaipa Canyon will provide you with a truly unique experience, a chance to visit the beautiful desert canyon in an exceptionally natural state, an easy hike into the wilderness, the opportunity to observe native plant and wildlife firsthand, and the singular experience of treading through the history of Arizona’s native peoples. AND, with our outfitting services for your Aravaipa backpacking trip, your experience will be more enjoyable as we will do much of the footwork for you. Click here for more information about JRI’s outfitting services. *Please note: Permits are required for Aravaipa and come available 4 months in advance. The hike starts a few hundred yards from Aravaipa Creek, but allows you to hike through a beautiful part of the Sonoran Desert. After hiking to Turkey Creek Indian Ruin, hike upstream for about 3 miles to your first night of camping, across from Hell Hole Canyon. Hell? More like heaven! You will find yourself dwarfed by towering sandstone cliffs. If time allows, take an afternoon hike into Hell Hole Canyon following the stream into a narrow, winding canyon. 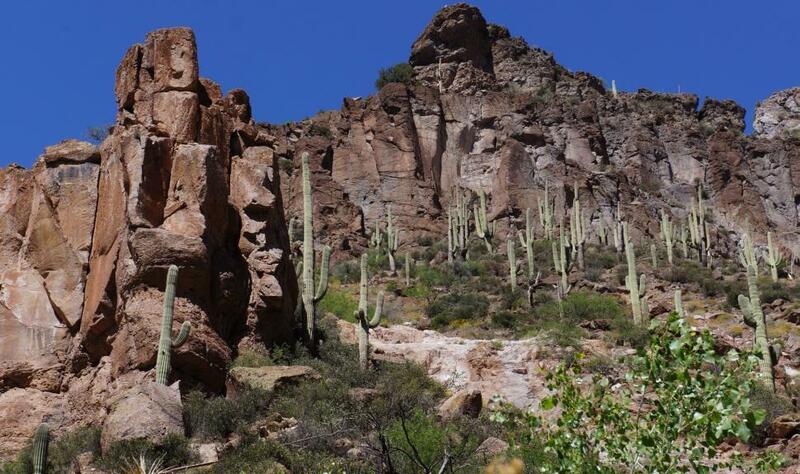 Start your day with a day hike towards the west Entrance of Aravaipa Wilderness. There are many side canyons to explore, but the one we are heading for is Horse Camp. 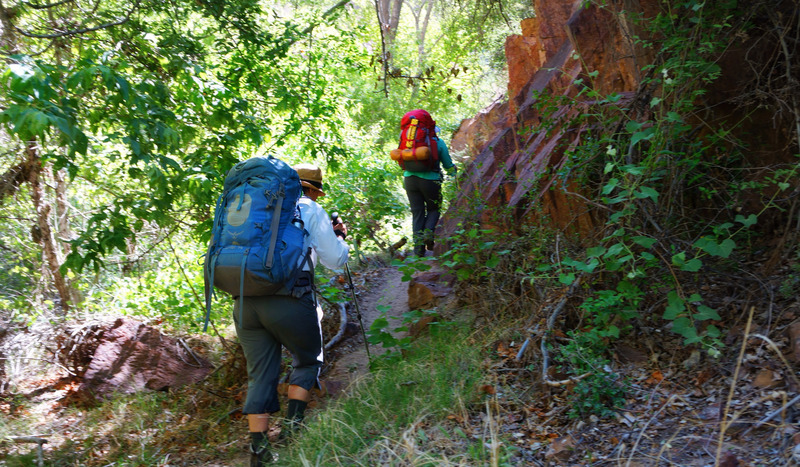 Aside from an old homestead in the thick forest of Cottonwood and Sycamore trees, there is much to explore if you are willing to do a bit of scrambling over boulders. The Spring months may even treat you with running streams and waterfalls! Au revoir, Aravaipa! You have a short hike back to your car, so spend some additional time exploring, relaxing in the creek, taking pictures, whatever you want before hiking upstream back to the trailhead.